Aren’t we all Embroidery Queens?? At least in our own minds at times? You can display it for the whole world to see in this 5” x 7” stitchery. It’s the perfect size for framing! Just a touch of crayon tinting and a few 3 dimensional stitches make this little embroidery SO pretty! 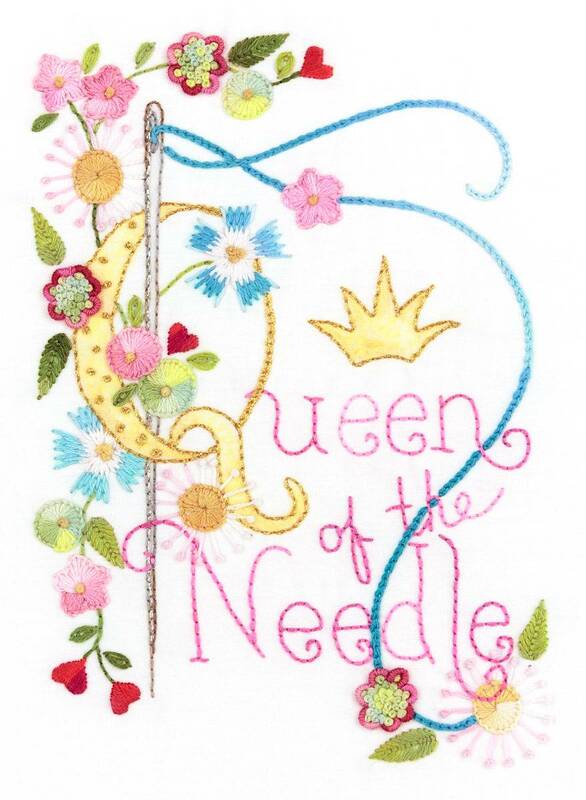 I don’t want to exclude anybody, so there’s a King of the Needle version available as a download here.